As soon as I saw this challenge from The Daily Post I knew exactly what photograph I would choose. This is one of the best signs I have ever seen, threatening and entertaining in equal parts. 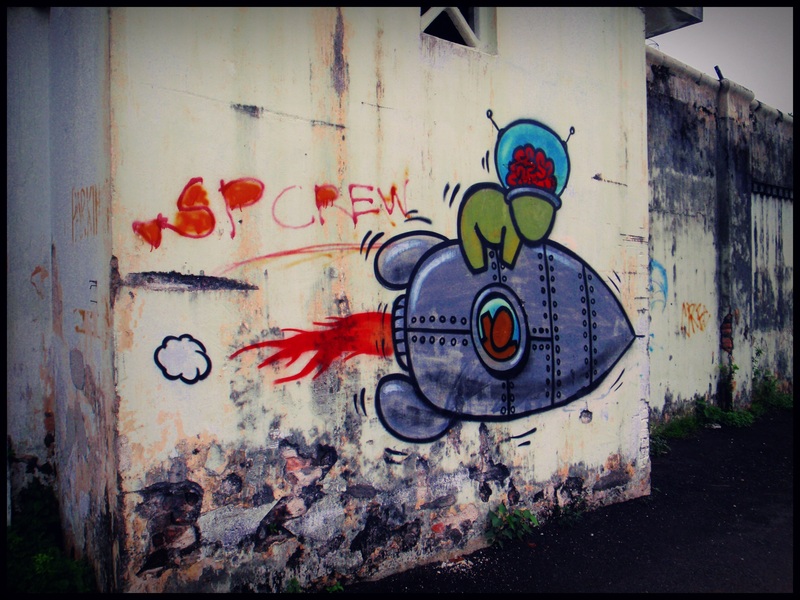 I found it completely by accident on the wall of the Pudu Prison, Kuala Lumpar. This prison was built by the British Colonial Government between 1891-1895. It was used by the Japanese to hold POW during WWII. 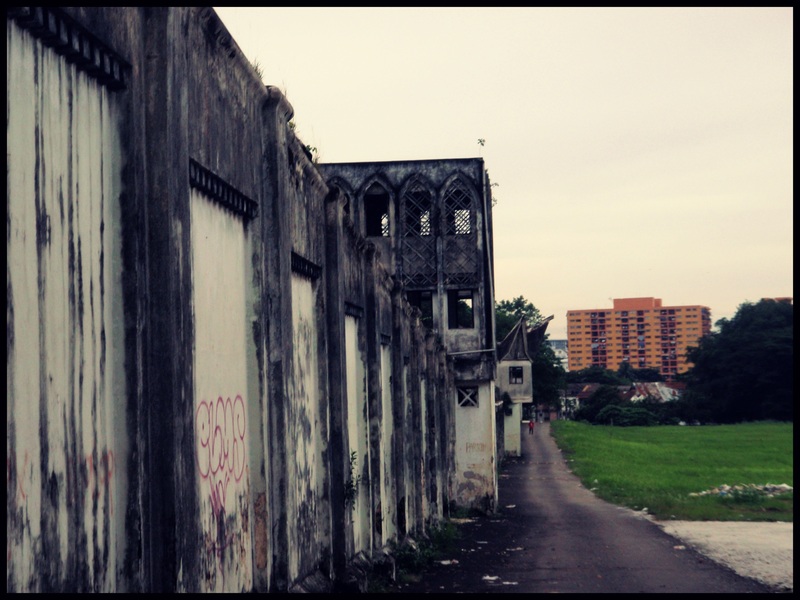 It was closed down in 1996, briefly used as a museum and occasional holding area for prisoners, before the Malaysian government decided to demolish it. 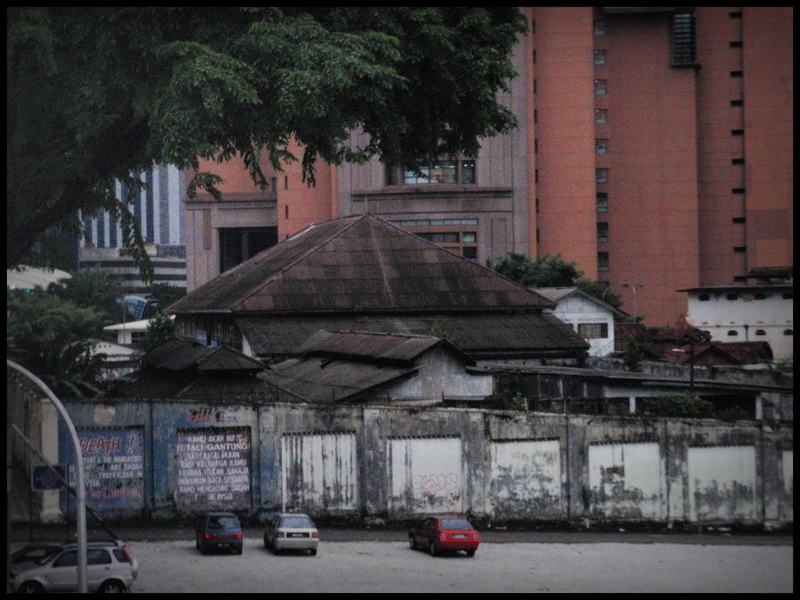 We visited it in November 2009, before the demolition had begun. Apparently now, only the gate and some external walls remain, but even these will soon be destroyed. DEATH! 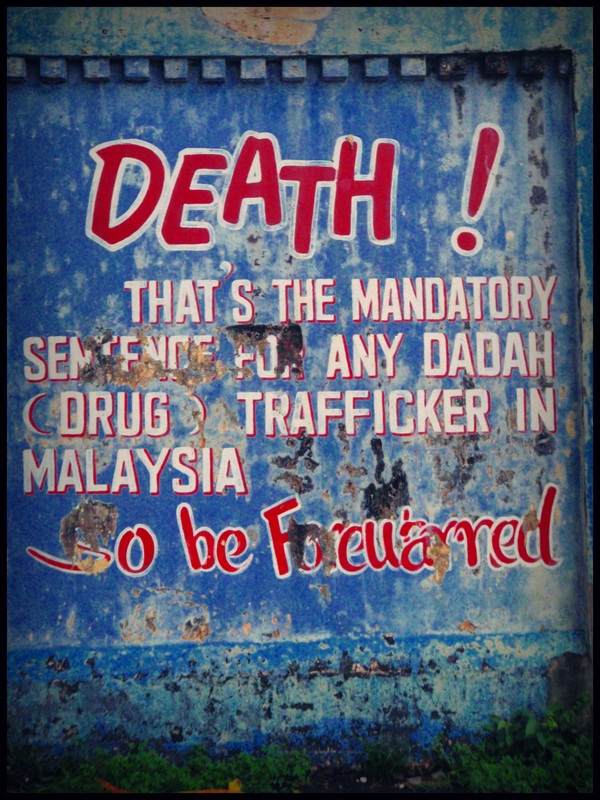 That’s the mandatory sentence for and dadah (drug) trafficker in Malaysia. Looking down an external wall. My camera at the time was a cheap point and shoot, and I took this photo from a long way away in dim light. It is a shame how poor quality it is. However you can make out the warning sign painted onto the left corner of the wall. This photo also shows the roofs of the internal buildings, which have now been destroyed. I do think it is a shame that this building has been demolished. Of itself it is an interesting and unique prison, with plenty of vivid history. When asked why the prison was not being preserved for heritage reasons, the Deputy Finance Minister Awang Adek Hussain replied: “To our opinion, it’s not something to be proud of.” Which is fair enough, I suppose. This entry was posted in Asia and tagged daily prompt, heritage, history, kuala lumpar, photo challenge, postaday, prison, signs, the daily post, travel. Bookmark the permalink.